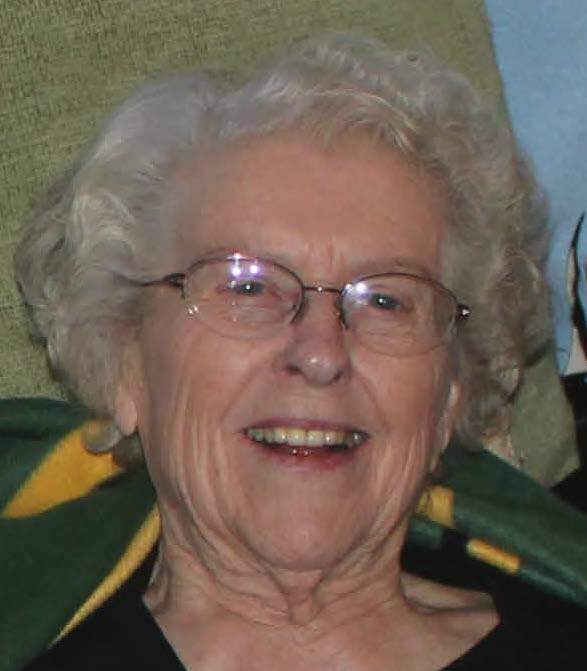 On Sunday, February 10, 2019 Mrs. Eva Schneider passed away peacefully in her sleep surrounded by family at the age of 91 years. She was born to parents Karl and Elin Forsberg on April 4, 1927 in Trehorningsjo, Sweden. Eva graduated from Wetaskiwin High School in 1946. She was predeceased by her beloved husband of 30 years, George Schneider in September 2002, siblings Gertrude Forsberg, Anna Norstrom, Karin Forsberg, Gustav Forsberg, Erik Forsberg, John Forsberg and Ivar Forsberg. She is survived by her sons Kerry (Elaine) Leeuw, Dale (Margaret) Leeuw, grandchildren, Jennifer (Marcus), Chris (Laura), Robert (Kiley), great-granddaughter Emily, step-grandchildren Paul (Heather) Gauthier, Laressa (Tyler) Gauthier and step-great-grandson Archer. Funeral Services will be held Saturday, February 16, 2019 at 11:00 AM at the Wetaskiwin Full Gospel Church, Highway 13 across from the Reynolds Museum, Pastor Glen Forsberg officiating. Interment to follow at Crooked Lake Cemetery AT 2:30 p.m.